Hi guys! I'm so glad it's the weekend. It has been one of those weeks that seems to drag on forever! I am hoping to convince my husband to go see Cinderella this weekend! He is pretty good about taking me to the movies that I really want to see, so I'm hopeful! 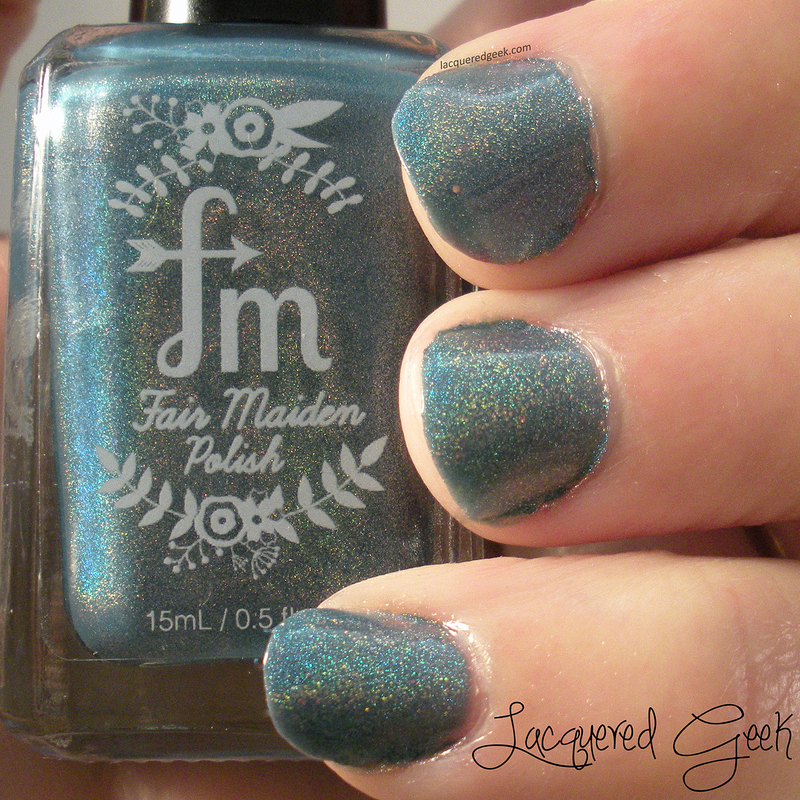 Today, I have a new-to-me brand, Fair Maiden Polish. I had heard some great things about these polishes, so I was eager to try them. 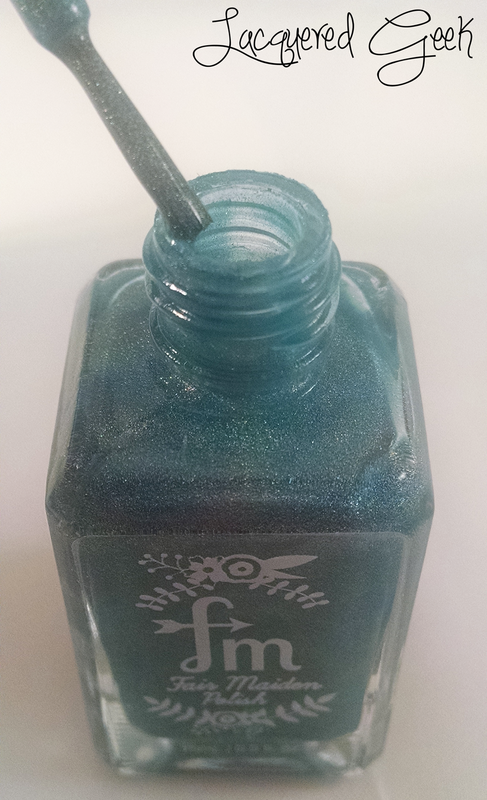 Frozen Heart is from the Be Your Own Heroine collection, and it's a bright blue linear holographic polish. The formula was average in thickness, but not so thick that it was hard to work with. I used 2 thicker coats for these photos. I was very impressed overall with the quality of this polish. 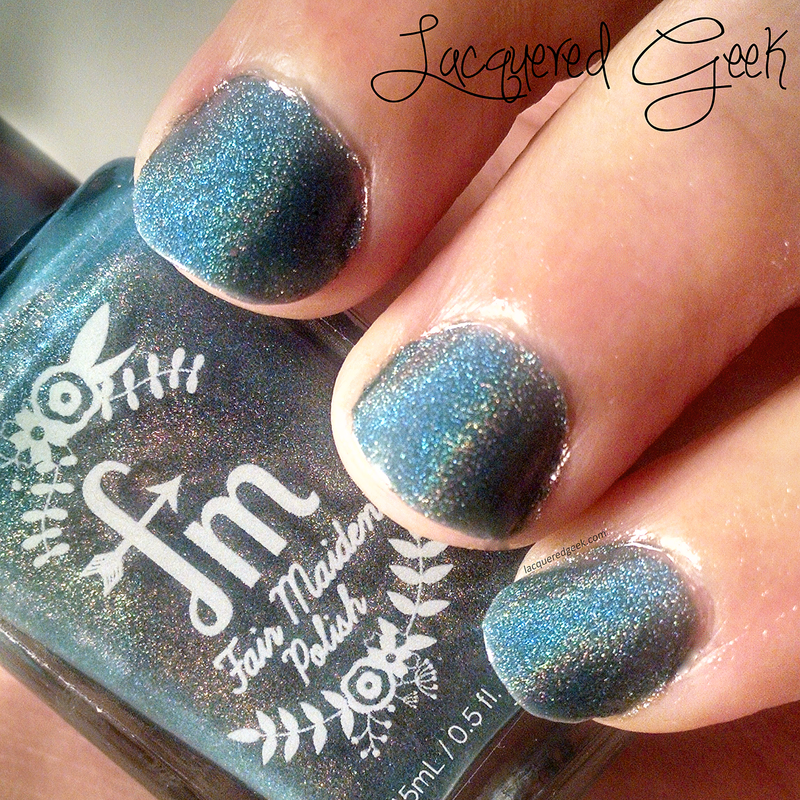 All of the great word of mouth that you've been hearing about Fair Maiden Polish is completely justified! I can't wait to pick up a few more colors when they launch their Spring Collection on March 21st! 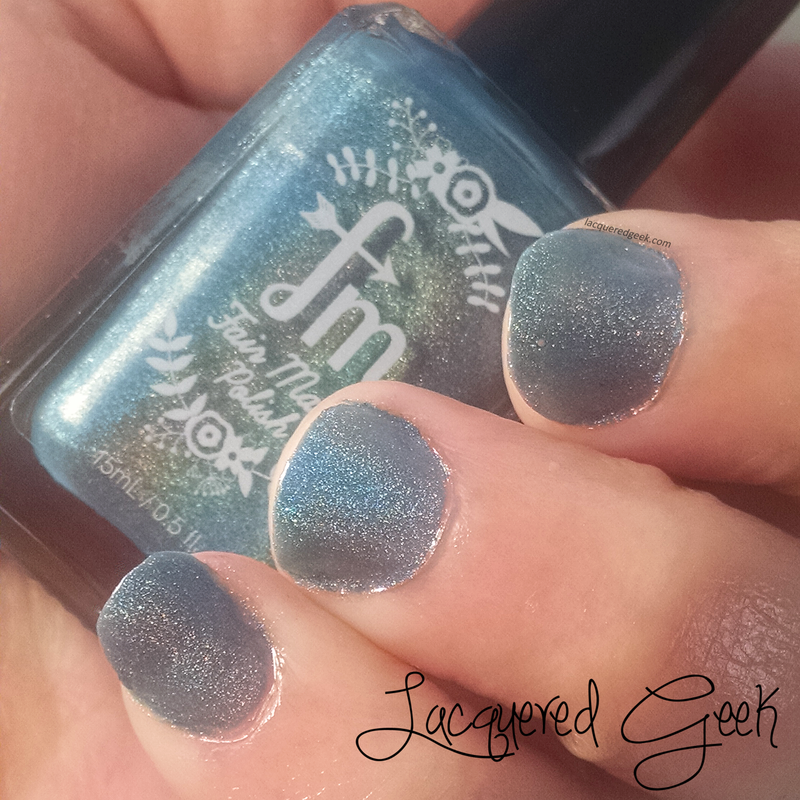 You can get some sneak peaks of this collection at Fair Maiden Polish's Facebook page.